Welcome to the Let's RUN with Pahla B Fitness podcast, your weekly INDOOR WALKING + RUNNING workout. This week we're using 30 second intervals for your choice of walk-run and talking about the all important question, "Why Do You RUN?" In no particular order, I run for at least these five reasons: To lose weight Because it's simple To change the way I think about myself To be competitive in a constructive way To spend time being selfish Be sure to leave a comment! 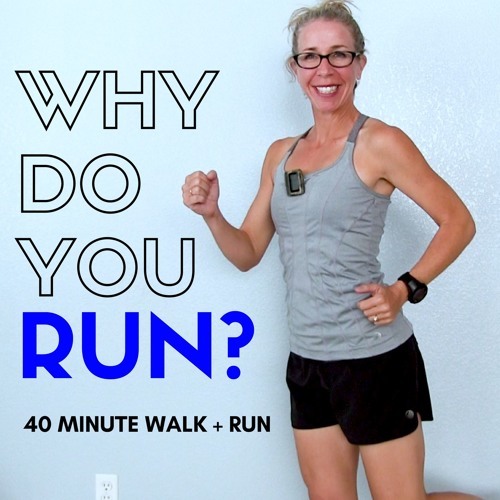 Why do YOU run? Check out the show notes on PahlaBFitness.com for links to everything mentioned in the podcast and other resources. @michelle-hollingsworth: It's good to know that about yourself, so you can get and stay motivated to keep moving! Loved this one and yes, I would love more podcasts about the mental aspect. I'm just learning how important it is! Right now I can't run in silence or to music. I have to listen to something new that I've never heard before (like podcasts). If I don't, I literally can't go very far at all!